Please call 1 (800) 869-1884 for an availability check, thank you. We surveyed our members and supporters and have them available in the popular choices of black, navy blue and khaki/tan - with a selection of sizes running from medium through to XXXL. 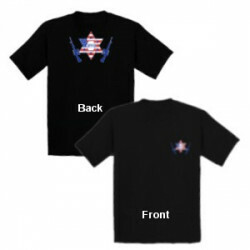 The back has a large (7'' approx) JPFO logo, and the front has a smaller JPFO logo in the usual breast pocket position. 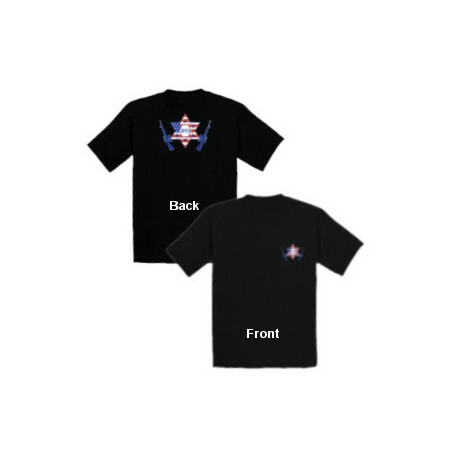 If you choose to order the optional pocket style, this can be had for an extra $2, the logo appearing above the pocket. XXL and XXXL sizes carry an extra $3 charge.